Why is Fiber Good for Diabetics? Most Americans do not obtain enough fiber in their diets. This is problematic because fiber is very beneficial for the body, especially for diabetics. Diabetics should work extra hard to increase their fiber intake because it can help them in many ways. Fiber is a type of carbohydrate that is not able to be digested in humans and animals. It is obtained from plant food sources. 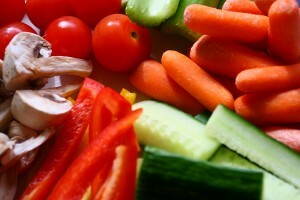 A diet that is packed with fruits, vegetables and whole grain products will provide you with dietary fiber. Gastrointestinal Regulation: Fiber is important because it helps regulate the gastrointestinal tract to keep things moving through properly. Slows Absorption: Fiber slows the absorption of foods and sugars. Lower Blood Sugar: Patients who take in large amounts of fiber have lower blood sugars. Improved Cholesterol: Fiber can help lower cholesterol levels. Lose Weight: Fiber keeps you feeling full longer so you may be less inclined to snack! Diabetes Information: How Many People Have Diabetes? Natural Remedies For Weight Loss: Will There Soon Be A New Best Food For Weight Loss? Diabetes Treatment Goals: What Should My Blood Sugar Be? Set Your Weight Loss Goals Using This Weight Loss Calculator! Hemoglobin A1c Converter Tool: What Does Your A1c Mean? Need to Buy Orthopedic Shoes? Know Which Brands to Look For! My Doctor Gave Me a Free Glucose Meter But It’s Making Me Angry!